One of the most common parts of home renovation that people overlook or get confused by isn’t the construction itself. It’s getting the proper permits to make their planned home renovations or bathroom installments are legal. No one likes dealing with bureaucracy, but many types of new construction and home renovation require the owner to obtain a permit from the local government in order to be legal. It may seem inconvenient, but the process exists for a reason—namely, to make sure all new construction is safe and conforms to existing regulations. 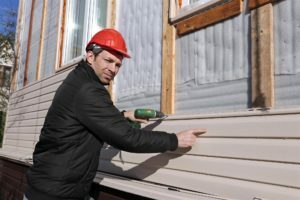 The penalties for not filing permits—fines that can run into the hundreds or thousands of dollars—are not worth suffering for the relatively small amount of time it takes to obtain a permit. Not sure where to start with getting a construction permit? We’ve got some helpful tips. The laws regarding construction permits vary from state to state and county to county, so you’ll need to do some research about what type of construction requires you to obtain a permit. In general, however, the only construction jobs that do not require a permit are cosmetic changes or minor fixes, such as painting or putting in a new floor. Generally, the cost of a permit depends on the extent of the changes you plan to make to your home. The cost will be different, depending on what kind of permit you need, and it is also often determined based on the projected cost of the construction being proposed. This means that when you file for a permit, you will need to have accurate plans drawn up and a quote from a reputable source in order for the process to move forward. Keeping in mind that different jurisdictions may have different rules regarding permits, there are generally two different types of construction permit: Subject To Field Inspection (STFI) or Plan Review. Relatively minor repairs like a new roof or modest bathroom remodeling usually only require an STFI, which is the less expensive and less laborious process. Major structural renovations, however, will usually require a Plan Review, which takes longer and is more expensive. How Do I File for a Construction Permit? If you are only planning to make relatively minor changes to your home, you should be able to file your permit application with the county office yourself (after checking with the county that you are filing the right kind of application, of course). For major renovations, however, it is often best to get help from someone with knowledge and experience in construction law to file the permit for you. In many cases, the construction company that is doing the work will be able to fill out and file the application. Want to learn more about how to make your bathroom renovation plans a success? Contact American Bath Enterprises today at 888-228-4925 to speak with our team of bathroom enclosures experts.